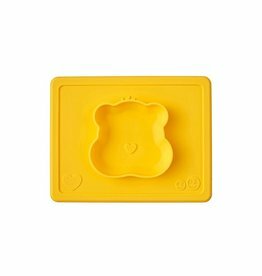 EZPZ - EcoBaby Gear, Inc.
Made of Silicone, 9 x 6.5 x 1.1 inches. 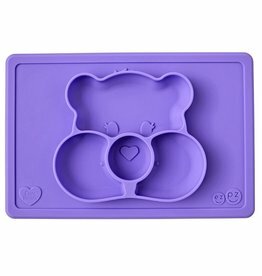 Holds 5 oz. EZPZ Tiny Bowl all-in-one with suction.